Governor Ahmed Directs Immediate Payment of Workers’ August Salary ahead of Sallah – Royal Times of Nigeria. 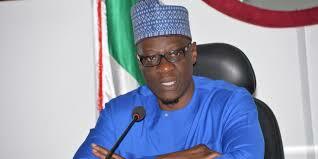 Ahead of the Eid Celebrations and before the release of Federal Allocations for August, Kwara State Governor, Alhaji Abdulfatah Ahmed has directed the State Ministry of Finance to commence the payment of August Salary to workers in the state immediately. The Commissioner for Finance, Alhaji Demola Banu, who disclosed this today, said arrangements have subsequently been concluded and a facility secured to ensure workers start receiving their salaries with effect from Thursday. He said Governor Ahmed gave the directive to ensure that the workers have an enjoyable Sallah celebration. Alhaji Banu added that Governor Ahmed’s directive comes at a time the Federal Accounts Allocation committee is yet to meet for the month, not to talk of disbursing monthly allocation to Federal, State and local governments. According to him, this testifies to the government’s commitment to the welfare of the people. Alhaji Banu said Local Government Councils and SUBEB are also expected to pay their workers tomorrow.